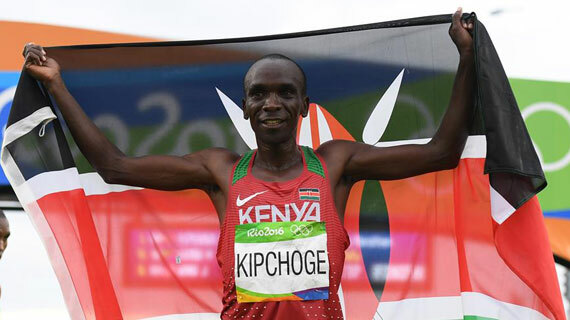 Kipchoge beat a strong field of elite athletes during the annual awards gala held in Monaco on Tuesday to cap his illustrious season that saw him break the world marathon record in Berlin. Colombian triple jumper Caterine Ibarguen won the women athlete of the year beating Kenyan steeplechase queen Beatrice Chepkoech, Shaunae Miller-Uibo (BAH), Nafissatou Thiam (BEL) and Dina Asher-Smith (GBR). Speaking after receiving the award in Monaco , Kipchoge noted that , "I am happy to be here after the historic run in Berlin. This award means a lot to me." Other finalists in the male athlete of the year list included: Christian Coleman (USA), Armand Duplantis (SWE), Kevin Mayer (FRA) and Abderrahman Samba (QAT).